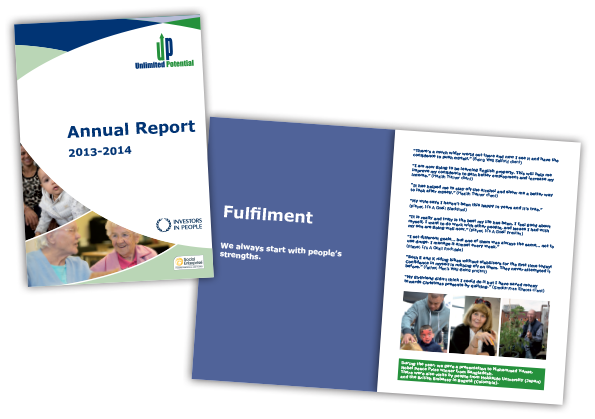 A 12 page, A4 Annual Report for Unlimited Potential for 2013/14. 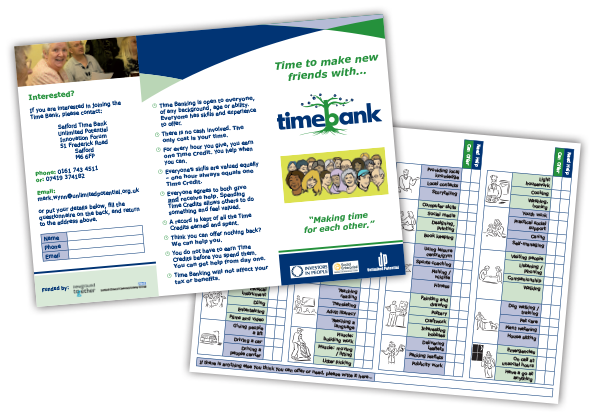 A double sided, A4, roll folded leaflet for Unlimited Potential to promote their Time Bank initiative. 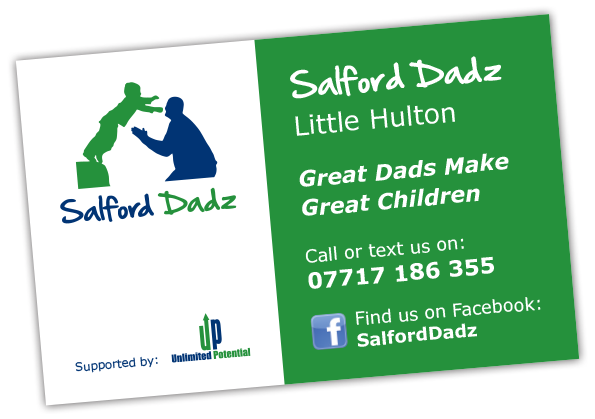 An 80cm x 200cm pop-up roller banner for Salford Dadz community group, organised and supported by Unlimited Potential. 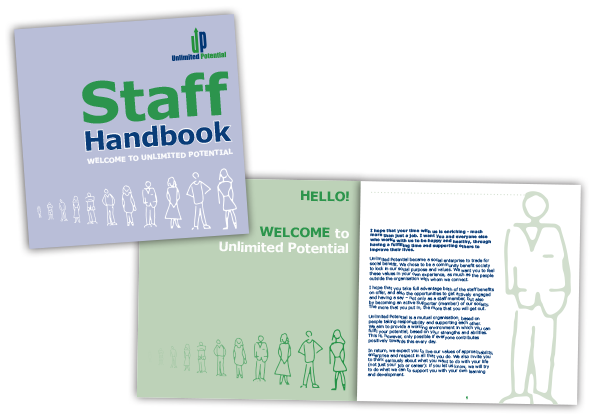 A 210mm x 210mm square 42 page Staff Handbook booklet for Unlimited Potential. A logo design and set of branding guidelines for Salford Dadz community group, organised and supported by Unlimited Potential. 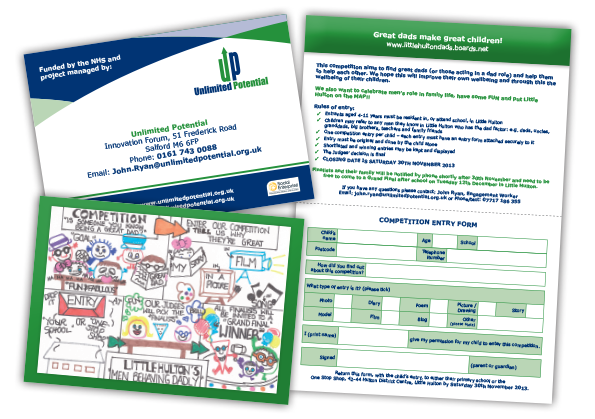 A four page, A5 leaflet and entry form for Unlimited Potential to advertise their ‘Men Behaving Dadly’ competition.